From time to time, Caribupdate Weekly would receive complaints from Grenadians, who now are citizens of Canada, at the hassle they face in trying to return to Canada via Maurice Bishop International Airport (MBIA) on Caribbean Airline (CAL). The complainants, dual citizens, are Grenadian passport-holders, and also possess citizenship identification cards as Canadian nationals. 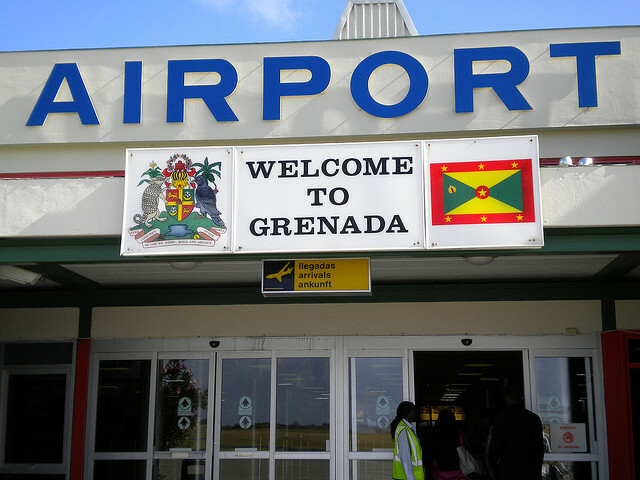 The frequent complaint is that they are being prevented by CAL representatives at MBIA from checking in and getting to immigration to board the aircraft when presenting to airport staff a valid Grenadian passport and a valid Canadian citizenship ID card, as legitimate proof of their right to reenter Canada from Grenada. CAL’s MBIA employees respond to irate Canadian travelers by saying they are only complying with a directive from Canada Immigration and the airline; refusal to follow the directive, they claim, could result in fines being levied against CAL. While it’s presented as CAL simply following a policy of Immigration Canada, almost every Canadian traveler to Grenada — to the last man and woman — seems to be unaware of the time and place the Canadian government, through its immigration department, announced the implementation of the travel document policy. And, even a most thorough search of the immigration department’s online information, unearths no information whatsoever of the so-called policy. One understands, and the Canadian government does say, that a Canadian passport is the best — and most reliable — travel document. But, an airport worker in Grenada or elsewhere, denying the right of a Canadian citizen to return home, flies in the face of his/her Canadian citizenship rights. Under the heading “Mobility Rights’’ in the Canadian Charter of Rights and Freedoms, it states that, “every citizen of Canada has the right to enter, remain and leave Canada’’. What’s strange is that those Canadians who insist on flying, on their Grenadian passport and Canadian Citizenship ID, even at the pain of being arrested at MBIA by members of the Royal Grenada Police Force, are met with no questions or queries by immigration officers on arrival at Lester B. Pearson International Airport in Toronto. In fact, a Grenadian who was here for the England/West Indies Test and was only allowed to leave MBIA, on his Grenadian passport and Canadian ID, after much protest and intervention, told our newspaper that immigration officials in Toronto were extremely shocked and surprised at his story of the attempts to block his return home, unless he was the holder of a Canadian passport; or, unless his Grenadian passport contained a valid visa allowing entry to Canada. The so-called policy becomes absolutely ridiculous at this point, because a Canadian citizen does not need a visa to enter Canada. So, at this juncture, we have Grenadian-Canadian travelers regularly engaging in exasperated exchanges with MBIA workers over this travel document policy. We believe that the Grenada Ministry of Foreign Affairs, in conjunction with the Grenada Airport Authority, ought to seek some clarity on the issue from Immigration Canada and Caribbean Airlines, and make their findings public. And, on a final note on travel to Grenada by visitors who were in the country for the recent cricket Test, it was laudable that cultural officials and other stakeholders endeavoured to provide avenues for entertainment into the evening hours after each game day. However, plans for staging the events were announced too late, with too little time to promote them to both resident nationals and visitors. And, while the activities were generally welcomed, there clearly was room for massive improvement in planning and executing. Sen. Brenda Hood, as Minister of Culture and Heritage, has a passion for her work that is unquestionable. We believe, though, that she needs to augment her supporting cast at the ministry level and at other places such as the Grenada Cultural Foundation and the Spicemas Corporation. Caribupdate Weekly has a few names to recommend of people who could ably assist Sen. Hood. One of them is former Sen. Arley Gill. Gill’s performance as Minister of Culture, from 2008 to 2012, was among the best in that portfolio by any Culture Minister since independence in 1974.